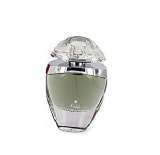 Boucheron Eau Legere by Boucheron is a floral green fragrance for women. 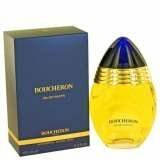 Boucheron Eau Legere was launched in 2006. Top notes are mandarin orange and bergamot; middle notes are and hyacinth; base notes are musk and vanilla. This is a floral perfume for young ladies. Conveys splendour, tradition, elegance.Features notes of bergamot, pink pepper, violet, rose. Base notes are white deer leather, cedar wood, musk. Classified as an enveloping and captivating semi-floral oriental fragrance With jewel-like scent in an award-winning bottle Launched by Boucheron in 1988. A floral fragrance for young women. 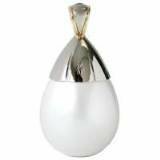 Bottle has a symbolic shape of a ring Conveys splendour, tradition, elegance. Features notes of bergamot, pink pepper, violet, rose. Base notes are white deer leather, cedar wood, musk.